NRDC’s new analysis of the most recent EPA data finds that nearly 30 million people in the United States drank water from community water systems that violated the EPA’s Lead and Copper Rule between January 2015 and March 2018. Furthermore, about 5.5 million people got their water from systems that exceeded EPA’s Lead Action Level — which is not a safe level, but rather triggers mandatory additional steps that must be taken by water systems to reduce lead levels. EPA and health experts agree that no amount of lead is safe. 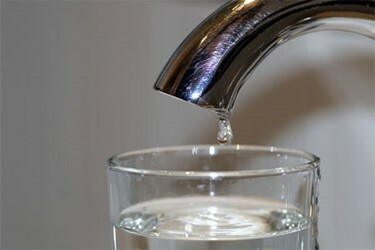 Created in 1974, the Safe Drinking Water Act is one of our country’s bedrock public health laws. The SDWA aims to protect the drinking water supplies of our nation by setting standards that local water utilities must adhere to. When a drinking water utility fails to meet the standards set by the law, it can receive a variety of violations including health-based (a failure to adequately treat the water — e.g., not removing arsenic or not properly disinfecting to kill parasites and bacteria), monitoring (a failure of a system to properly test for contaminants), or reporting (such as a failure to report lead results to the public or government officials) violations. The SDWA currently regulates about 100 contaminants including some naturally occurring chemicals (e.g., arsenic), microbial contaminants (e.g., E. coli), man-made compounds (e.g., Atrazine), and other contaminants that can impact human health. In recent years, largely due to the mass poisoning of the citizens of Flint by their state and local water supplier, lead has emerged as a contaminant of significant public concern. In an effort to investigate areas of the country outside of Flint that could have lead-related issues with drinking water, the 2016 NRDC report, What's in Your Water? Flint and Beyond, analyzed national data from the United States Environmental Protection Agency (EPA) on violations of the Lead and Copper Rule (the Lead and Copper Rule is a rule of the Safe Drinking Water Act that limits the amount of lead and copper in drinking water). Our analysis showed that in 2015, alone, 18 million people were served by drinking water systems with lead violations. It also highlighted the extraordinary geographic scope of lead violations across the country. One of the most shocking findings of the report, however, was that Flint — the poster child for lead contaminated water — did not show up in the data as having lead-related issues. This demonstrated that there were significant problems with under reporting violations and major gaps in our knowledge about the true scope of the lead problem. Additional analysis in a 2017 NRDC report, Threats on Tap: Widespread Violations Highlight Need for Investment in Water Infrastructure and Protections, showed that not all states and communities were equal in the distribution of lead-related violations across populations. Startlingly, we found that in Puerto Rico before Hurricane Maria, 97.2 percent of the island’s population was served by systems with violations of the Lead and Copper Rule — the largest percentage of a population of any state or territory in the nation. Virtually all of these violations were for improper monitoring or reporting, suggesting that there could be widespread lead exposures that are going undetected or unreported to the public. As part of a data request from reporters at National Public Radio, we reanalyzed and updated our previous analyses of violations of the EPA Lead and Copper Rule. This new analysis found that nearly 30 million people were served by drinking water systems with violations of the rule between January 1, 2015 and March, 31 2018. Of these, nearly 2 million people were served by drinking water systems that had health-based violations of the rule. Additionally, 5.5 million people were served by drinking water systems that exceeded EPA’s Action Level for lead between January 1, 2015 and March 31, 2018. If a water system exceeds the Lead Action Level, which EPA admits is not a safe level since no amount of lead is safe, the system must install additional treatment or take other specified actions to reduce its lead levels. The new analysis also found that Puerto Rico remains troubled by lead-related issues. Nearly 3.4 million people in Puerto Rico were served by systems with violations of the Lead and Copper Rule between January 1, 2015 and March 31, 2018. Though none of the violations were health-based, and there were very few exceedances of the Lead Action Level, the violations in Puerto Rico indicate that there is widespread noncompliance with monitoring and/or reporting. Without adequate monitoring and reporting, it is impossible to know whether the lack of health-based violations and low numbers of action level exceedances are a true representation of potential lead-related problems on the island or whether lead-related issues are simply being masked by a lack of sufficient monitoring. Use the following interactive maps to explore county-level data on the number of systems, number of violations, and number of people served by drinking water systems with violations of the EPA Lead and Copper Rule (click on the “All Violations” tab to see values for all violations and the “Health-Based Violations” tab to see the numbers for health-based violations, alone). By clicking on the “Action Level Exceedance” tab, you can explore counties in which drinking water utilities exceeded EPA’s 15 part per billion Lead Action Level. Kristi Pullen’s decades-long research career includes experience in molecular, structural, and computational biology; biochemistry; and population health. Prior to joining the Healthy People & Thriving Communities team, she worked as a scientist for the Environmental Law & Policy Center, where she focused on air and drinking-water quality, science communications, and environmental justice. For NRDC, Pullen has worked primarily on high-throughput technologies, predictive toxicology, and chemical-risk assessments. She holds a bachelor’s degree in biochemistry and molecular biology from the University of Maryland, Baltimore County, and a PhD in molecular and cell biology from the University of California, Berkeley. She was a Robert Wood Johnson Foundation Health and Society Scholar at the Harvard School of Public Health. She is based in Washington, D.C.